Today is Hunting for the Very Best’s 4th anniversary. Yes, I started this blog back on July 3, 2009. July is National Ice Cream Month, so I’m doing a Sweets Week with a focus on frozen treats like ice cream and frozen yogurt. 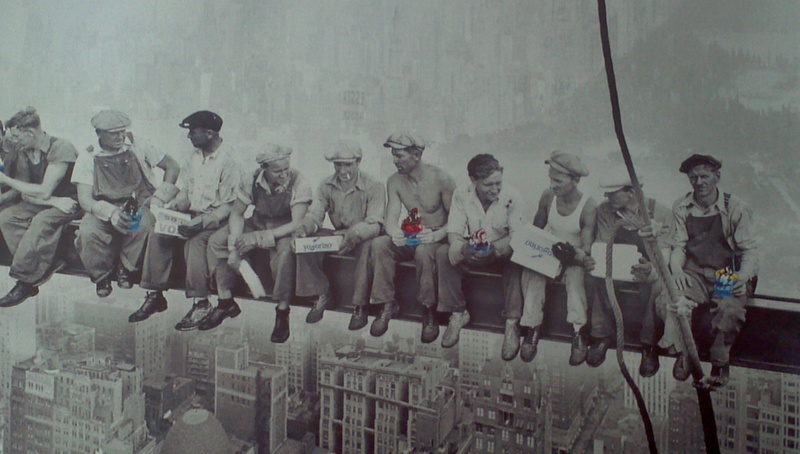 The staff at Yogorino say a lot of people come just to take a picture of their mural, that famous one of men eating lunch on a steel beam high in the air of the NYC skyline. Only in this photo, the men are eating something else. You guessed it, frozen yogurt. Yogorino is a bit different from other frozen yogurt places. The Italian company’s philosophy is one of health, in the form of probiotics and their benefits. I can get on board with that. It’s also not self serve, and there is only one flavor of yogurt. But at Yogorino, that’s all you need. 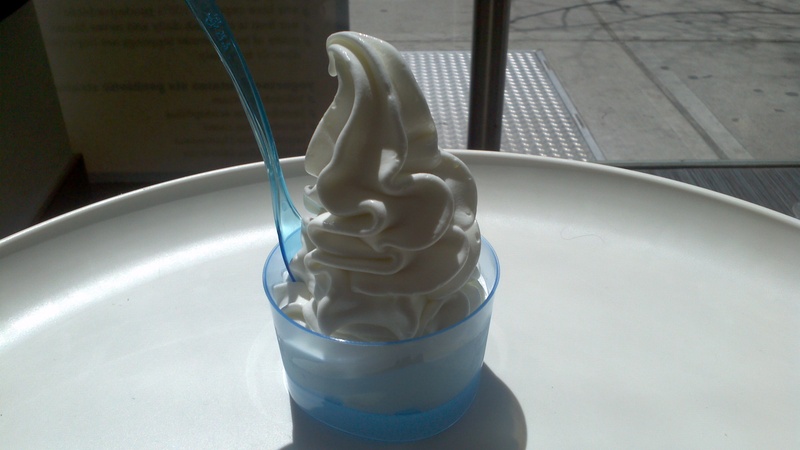 Verdict: This yogurt has a unique flavor, a creamy tart flavor unlike any other in the city. And of course, there are toppings, such as fresh berries, which I have gotten before. However, the yogurt itself is so good here that I eat it plain.